I am not disputing that some people are more sensitive to the negative effects of either caffeine or chocolate. For example, excess caffeine can create anxiety, nausea (particularly if taken on an empty stomach), an increase in heart rate, and even depression in some people. And chocolate is certainly not something that should form the mainstay of one's diet. If struggling with sugar addiction, or wanting to lose weight, there are more nutritionally complete foods that are available. Even if you're not at risk of liver disease, caffeine still has some advantages. Recent research from Austria showed that caffeine may actually enhance short term memory. Researchers found that there was an increase in brain activity (as measured by functional magnetic resonance imaging) in the parts of the brain that were associated with memory and attention. These parts of the brain were the frontal lobe and the anterior cingulum. This was a placebo controlled study, meaning that some people were not given any caffeine. 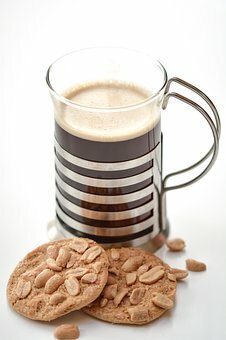 Another, earlier study (2004) found that caffeine did support short term memory, but only when it was in relation to a topic that people were already thinking about. This study found that when testing coffee's effects on unrelated subjects, short term recall was actually inhibited.